Burning carbon to create electricity is unclean and unsustainable, this is not new or ground breaking information, but the good news (and perhaps new news) is that is has never been easier to go green or to use and purchase solar panels to power your home. Coal extraction and burning are responsible for 381,740,601 lbs. of toxic carbon dioxide, methane, sulfur dioxide, mercury, radioactive materials, and particulate matter annually. It is an enormous contributor to global climate change. Coal combustion waste is the second largest contributor to landfills after solid waste. In many U.S. states solar panels can bring in savings well over $100/month. Solar purchase power agreements (PPAs) and solar leasing have made it possible for homeowners to go solar for very little, or even no money down. Solar panels increase your home value, due to the lowered electricity costs associated with solar panels. The cap on the federal solar tax credit has been lifted, so you can expect to be reimbursed 30% of the total system costs by the federal government, combine that with state and local incentives and the total costs are cut in as much as half! Solar panels come with a 20-25 year warranty that guarantees 80% performance during this period. Check out Consumer affairs solar energy guide to compare your solar panel and financing options! And be sure to check our this article for a comprehensive review of different solar companies. Mollie Mac living her best life in Egypt. I wrote this post oringally (seen below) almost a year ago – and it’s crazy to me how much life has changed. In the year since this post my boyfriend and I have moved into a condo (which we own! ), adopted the cutest little kitten ever (HI RAMBO! ), successfully reintegrated back to New York living, and still had time to explore Poland, Egypt, Jordan, Lebanon, & two US States (all while paying to offset my carbon footprint). I’ve learned a few more things about living green, and trying to go zero waste in these past twelve months as well, and I’m here to share them with you. Jam Jars are a LIFESAVER! I buy a good amount of jam, and always in glass jars (because I obviously don’t like to buy plastic). These jars are a great and cheap storage option. I use them to transport my daily yogurt to work, or to put snacks in, or in a pinch as a water glass! The power of eBay. When I came home my clothes were pretty outdated, and I didn’t have the money to shop ethically the way I wanted, and I didn’t want to succumb to fast fashion. Luckily I was introduced to secondhand clothes shopping on eBay by a friend – and have been able to find such gems as an Eileen Fisher velvet top for $6 and even a Burberry dress for $35! (both in excellent condition). This is Rambo. I know, she’s the cutest. there. Just because someone decides they don’t want something anymore, doesn’t mean it has to be the end of it’s life cycle. more bags! I never have an excuse anymore to take a plastic bag, and I since I don’t take them, I don’t feel the guilt anymore. your pet. Try these bags that are made out of cornstarch. I’m just now negotiating my way back into society after living as a nomad after 2.5 years. Living a green lifestyle has always been important to me – and something that was surprisingly easy while traveling. I always had my klean kanteen in my pack, along with a water purifier, and only had to buy water in plastic bottles when I was in a country whose water was contaminated by lead. I kept a small reusable tote bag in my fanny pack for impromptu market shopping (I forgot my ECOBAGS® string bag in Italy), I always took public transport or hitched a ride. I generated little garbage, took short usually cold showers, I even carried around multiple bars of Dr. Bronners certified organic soap in my small 30L backpack, Dr. Bronners is packaged in paper, not plastic. I did all this without thinking about it. Reintegrating into the first world and staying green is surprisingly hard. It’s so easy to buy a coffee with a plastic lid mid-day, or use plastic saran wrap to help pack my lunch. Living green is a much more intentional lifestyle with first world conveniences all around me. Beauty products, I love lush! Now that I’m wearing makeup again it’s great to find a greener alternative, that packages their products responsibly, if at all. You can always make your own, but I haven’t tried yet. You can follow us on pinterest to see more green living/zero waste ideas! For many people it’s hard to understand why things like Organic Cotton are so important, or to justify the slightly larger price tag. So here is a brief explanation on why ECOBAGS® has been offering Organic products since 2000, and why moving towards using more organic cotton is so important to us here at ECOBAGS®. Cotton is one of the most widely grown crops in the whole world, accounting for 40% of the total world fiber production. The farming of conventional cotton is one of the most chemically intensive crops in the world; impacting our air, water, soil, and health. It not only destroys land, but many farmers even die from exposure to the chemicals. The production of organic cotton maintains and replenishes soil fertility, reduces the toxins in our environment, and leads to a safer and healthier life for the farmers. Organic cotton is certified by a third party to verify that organic producers use only methods and materials allowed in organic production. It’s not only about our planet, but also the fellow people on our planet. Let’s keep making strides to living more sustainable, thoughtful, and healthy lives. We live in a world full of plastic, where everything imaginable can – and is – disposable. It’s sad that it’s easier to find something that is thrown away after one use, than to find something durable and reusable. So here is a list of some of our FAVORITE green products – they are reusable, good for our environment, and in the long run, cheaper than their disposable counterparts. Let’s all do our best to try to live a zero waste lifestyle. Soap nuts are a 100% natural alternative to laundry detergent. They grow on trees, and have a net-negative carbon imprint! They are simple to use – simply throw about 5 of the nuts into a re-usable cotton drawstring bag and throw them in the washer with your clothes. You can reuse them up to 7 times! And yes, they really work and are great for synthetics. 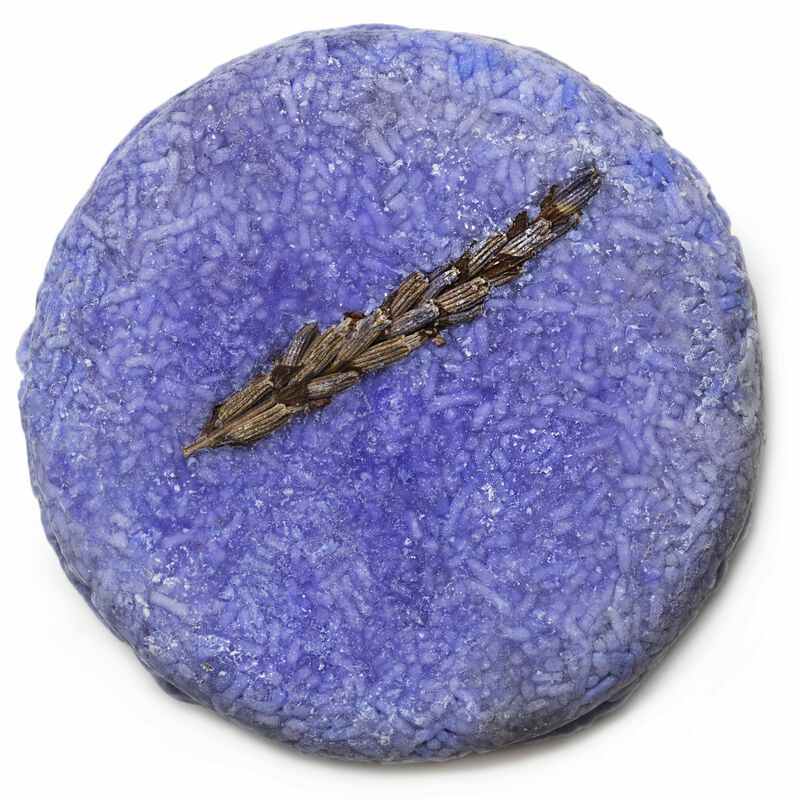 These shampoo and conditioner bars are sold unpackaged, so you aren’t getting all that wasteful packaging that usually comes with hair care. Each bar can be used for about 80 washes, which is the equivalent of about 3 bottles! That’s a lot of plastic saved, and a good amount of money as well! Baking soda is a WONDER for personal care and cleaning up around your house – seriously, it seems like there is no end to it’s uses; from dental care to cleaning floors and keeping pesky ants out of your kitchen! Baking soda is a MUST for anyone who is trying to reduce their environmental impact. Click here for a more in-depth look at it’s uses. During her reproductive life span a woman can use up to 16,800 disposable pads and tampons, up to 300 lbs of waste! Not only are reusable options like menstrual cups, thinx underwear, and reusable pads better for the environment, they are also better for your overall feminine health, and much cheaper than buying the disposable alternatives. Say “no” to plastic shopping and produce bags! 1 trillion plastic bags are used each year worldwide, and 10% of these bags end up in our oceans. Plastic bags are NOT biodegradable, when they degrade their fragments end up in our soil, our water, and even animals. 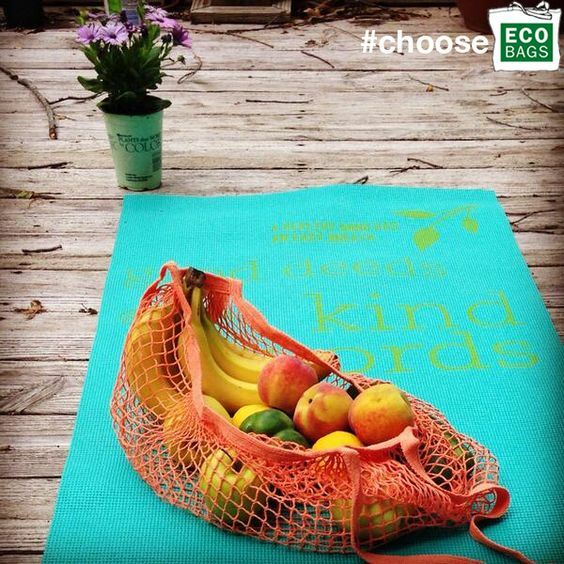 It’s easy to go reusable – try using ECOBAGS® string or filet-a-provision bags, bulk and produce bags, and tote bags for all your shopping needs. Not only are you saving plastic from saying “no” to one-use plastic bags, you’re also saving plastic when you buy bulk! Let’s clean up the planet, one bag at a time. Perhaps the simplest way to reduce your environmental impact is to change out your standard bulbs to fluorescent bulbs. In it’s lifetime a single CFL (compact fluorescent light) will save you $40, according to the EPA. If every American home replaced only one light bulb with an energy saving CFL, greenhouse gas emissions would be reduced by 9 billion lbs! Probably the most fun way to go green, ride your bike! About half of the working American public lives within 5 miles of their workplace, if they cycled those 5 miles as opposed to driving they would reduce their total household emissions by 6%.